Are back and neck pain more common in older adults? Have you noticed new aches and pains as you grow older? If so, you may subscribe to the common belief that back pain becomes more prevalent with age. While elderly people do face an increasing risk of many ailments, a recent literature review showed that back pain may not be one of them. The systematic literature search involved 12 studies of back pain conducted between 2000 and 2011. The studies showed no significant increase in back pain later in life; several studies even reported a decline in reported back pain among the oldest patients. While back pain is more common in adults reaching middle age, the trend does not appear to continue to elderly people. The researchers concluded that back pain is no more common in patients over the age of 60 when compared with middle-aged patients. Instead of increasing with advancing age, back pain actually seems to decline among the oldest patients, providing evidence that a long-held belief may be incorrect. Still, elderly patients are face with coping with a number common musculoskeletal ailments. 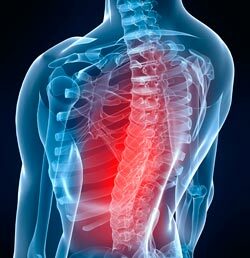 Fejar R, and Leboeuf-Yde C. Does back and neck pain become more common as you get older? A systematic literature review. Chiropractic and Manual Therapies 2012; 20 (24): doi:10.1186/2045-709X-20-24. Written by: Megan Churchwell on September 4, 2012.